While it’s likely not going to be your dream multi-million dollar home, dual occ designs come as an affordable construction option. These houses will provide a world of space with options aplenty. There’s a lot to factor in before getting started building a dual occupancy home. Through this article, we will spotlight a few key ways to approach building one, ensuring you are giving yourself the best possible result. What is a Dual Occ Design? A dual occupancy development (commonly known as a ‘multi-dwelling, ‘duplex’, or ‘side-by-side development’) is a property that can feature a broad range of layout options. Typically, dual occupancy designs offer either two attached dwelling positioned side-by-side, or one positioned behind the other. People who build dual occupancy homes are often in it to make a significant profit. An option many are taking is living in one property and selling the other, or even selling both and pocket even more. A significant profit will only occur, however, if you are able to keep running costs down while building a place that attracts would-be occupants. The safer and smarter way to find the right balance here is to contact a builder to design and construct the ideal duplex that will fit your budget. With this type of dwelling, it comes important to be more mindful over where your money’s spent. Do not treat it as if it were your dream home. It comes important to remain extra mindful that speed may be everything when constructing your property. The job should never be rushed, but remember that it will certainly be cheaper to get everything in place as quickly as possible – else you risk your property becoming your just throwing money away into. 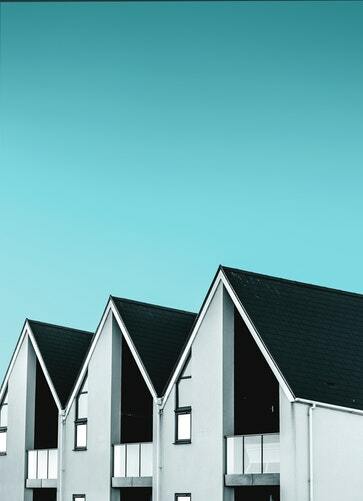 Holding costs on the block of land on which your duplex will be constructed can be bigger than expected – the longer you stall, the more it will grow. Because of this, it comes as a good idea to find a builder who can plan and execute the job as quickly as possible. When you have found the right block of land, be sure to do investigations on it to find out what council zoning will allow you do with it. By contracting experts in the field, you will discover whether your investment is worth engaging, you will also find out whether there is even more you can do with the land. If given the go-head, there are so many options and avenues you can take. To narrow things down, however, it is highly recommended you contract a town planner or even an architect to help you make sense of your limitations and best option in the property market. And furthermore, you can gain additional insight by contracting our trusted industry professionals on 1800 184 284. You can also book a call online.